When an agency licensed by the State of Ohio originates and handles the adoption process, Probate Court involvement is limited to the final stages of the adoption. It is the agency who approves the placement, conducts the home study, and recommends the adoption to the court. Adoption agencies have trained, professional staff, and use legal counsel to insure that adoptions are legally, effectively, and efficiently handled. In Cuyahoga County, a licensed agency is not required in cases where the child is related to the persons seeking to adopt (such as a grandchild, niece, nephew, etc.). A private attorney may work directly with the court in these cases. Otherwise, if no legal relationship exists between the child and the persons seeking to adopt, an agency licensed by the State of Ohio must be involved in the adoption. The person seeking to adopt is either a step-father or step-mother. The parent whose right is being terminated must consent unless his or her consent is not required. Where a child is born in one state and the adopting parents are residents of another state, both States' Departments of Human Services must be involved through the Interstate Compact. The Probate Court will supervise these proceedings. If an Ohio family adopts a child born in another country, the adoption is considered a Foreign Adoption. Adoption may occur in the country of birth or in Ohio. All foreign adoptions must be processed through the U. S. Department of Immigration and Naturalization. 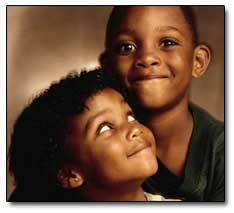 In Cuyahoga County, it is not required that an attorney be involved in the adoption process. However, in the case of a contested adoption, representation by counsel is strongly recommended. An unwed father, known as a putative father, may preserve his rights to consent to an adoption of a child born after January 1, 1997, by registering with the Ohio Department of Human Services, Putative Father Registry. Registration must occur either prior to birth, or no later than thirty days after birth. As to the rights of a putative father prior to January 1, 1997, contact an agency or attorney. For more information on open adoptions, contact an agency or attorney. What is the Access to Adoption Files? Medical Information: Generally, all adoption records are open for the purpose of obtaining the medical background of biological parents. The court or agency involved in the adoption should be contacted for that information. Prior to 1964: copies of the original birth certificate may be obtained from the State Bureau of Vital Statistics. 1964-1996: Adoption records for this period are closed. Identifying information will be released only if the biological parent(s), or an adult sibling, has signed a Release of Information. 1996 to date: Since September 18, 1996, adoption records are open unless the biological parent(s) have requested that identifying information be withheld. The State Bureau of Vital Statistics should be contacted.